Last one for the weekend. Head over to my IG and see the before & after😃. 1. Mix together the lemon juice and salt; rub into the chicken . Place chicken into a shallow dish. 2.Place 1/2 of the yoghurt and the cumin, ground coriander, fresh coriander, paprika, turmeric, salt, pepper and garlic into a blender or food processor, and blend until smooth. 3.Transfer to a bowl, and stir in remaining yoghurt. Pour over the chicken parts, cover, and marinate in the refrigerator for at least 8 hours, or overnight. 4.Preheat oven or the grill on medium heat. 5.Remove chicken from the marinade; on a lined roasting tray, place chicken flat then cook for 30-40minutes turning frequently to brown both sides of the chicken and to prevent chicken from burning. 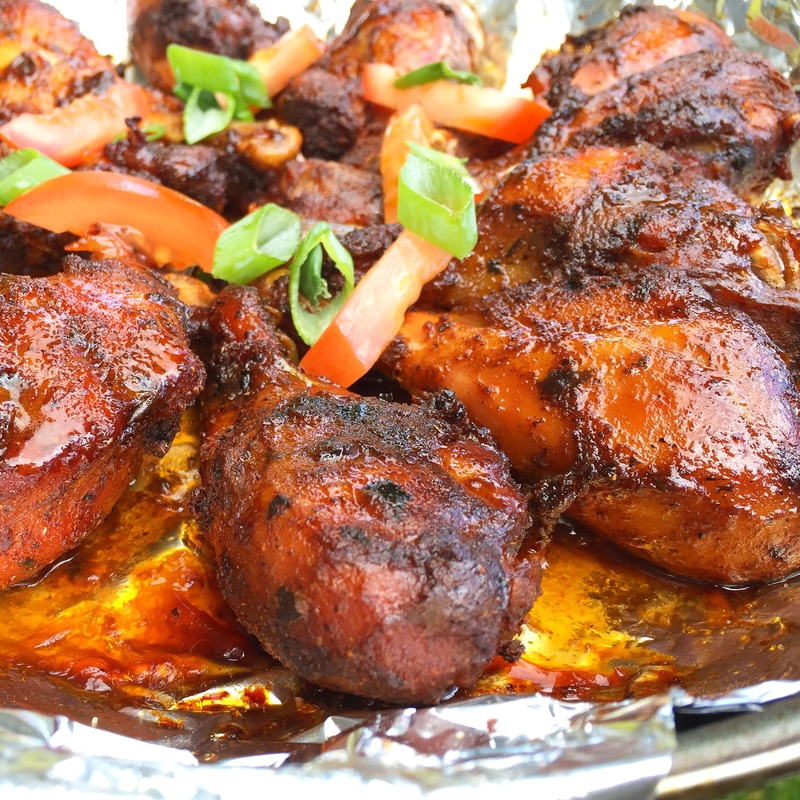 6.When chicken is cooked,the juices must run clear. Serve immediately with salad.